Driving home from dinner last fall, my sister-in-law Jessica told me about her mother's holiday shoebox drive. For many years, Veronica has been asking her friends in Montreal to fill a shoebox with small gift items, which she collects and delivers to a women's shelter. Jessica wanted to do the same thing in Toronto for the Red Door Family Shelter and I immediately offered to get involved. I loved the idea for many reasons. It involves women helping women. It requires actually doing something with your hands to create something for someone else. 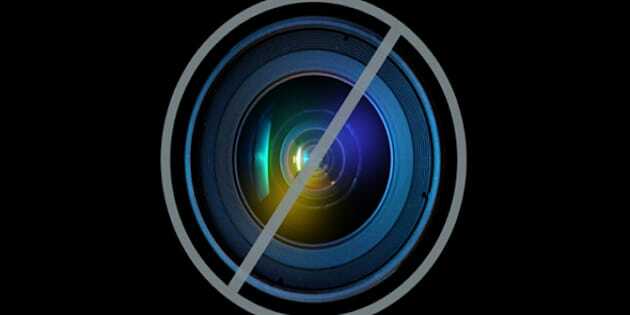 It is not an expensive charitable project. And to top it all off, it didn't seem like it would be too difficult to organize. We decided that together with our two sisters-in-law, Vanessa and Katy, we had a long list of friends that we could invite to participate. The whole idea had a very simple appeal. Our stated goal was to collect 156 shoeboxes to give a gift to each of the women staying at the two shelters of the Red Door Family Shelter over the holidays. We each sent out a letter to our friends asking them to participate, and very quickly, in mid-November, the boxes began to arrive. It was wonderful to see how generously our girlfriends responded to our request and how quickly they acted to create a gift for someone they didn't know. Some made shoeboxes on their own, and other shared the process with others -- daughters, co-workers and members of their moms' groups. While we were not surprised that our friends were so generous, we were astonished by the number of inquiries and deliveries we received from people we didn't know as a result of the email being forwarded! 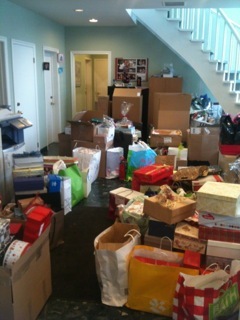 By mid-December, the boxes were piled high in corners of our homes! We also received other goodies like cakes and pashminas, as well as gift certificates from Cineplex Odeon and boxes of makeup from L'Oreal and Sephora. A few days before Christmas, our husbands helped us load up our cars and together we drove the 400 shoeboxes and other donations down to the Red Door Family Shelter. After weeks of coordinating and collecting, this was a truly special moment for us all. But now we had a problem none of us had anticipated -- what to do with the remaining 200 boxes! Were there more shelters in the general vicinity? We didn't have any relationships with shelters other than the Red Door and we didn't know if they would want the boxes so close to Christmas. Moreover, shelters do not publicize their addresses for the protection of their residents, which makes them harder to source on the Internet! Fortunately, the staff at the Red Door made some suggestions and Vanessa suggested Nazareth House, where she had made donations in the past, and so we showed up unexpectedly at three other shelters with boxes of gifts for the residents. In the end, we delivered boxes to Nellie's and Street Haven at the Crossroads as well. What a wonderful day. In the new year, we followed up with each of the shelters to find out how the shoeboxes were received by the residents and how they could be improved. 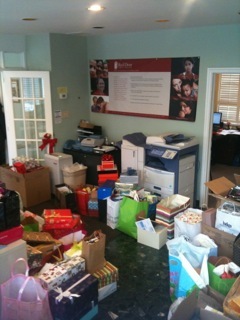 We were thrilled to hear that the gifts really did brighten the day of the women who received them. At Street Haven, the Program Coordinator said this was the best holiday in her seven years at the shelter and that "many of the women were shocked to see that women in their community cared enough about them to put this box together." We also met with executive directors and staff at several shelters in Toronto to understand how they run their organizations, what their challenges are and what their needs are throughout the year. We ran a food drive in the spring and are looking into other ways to help. We would like to help coordinate shelter needs with the volunteer interest of our network of shoebox-gifters and to help raise community awareness about the work shelters do in our communities and the women they assist. 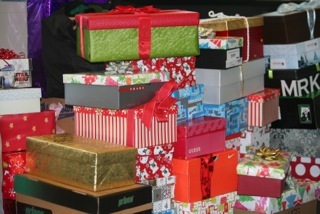 This holiday season, we hope the Shoebox Project for Shelters will deliver gifts to many more women in the GTA. In addition, we are also working with volunteers in Montreal and in Halifax to develop and set up Shoebox Projects locally and have our sights set on even more communities in the future. This all seems like a dream. Last year's donations exceeded our expectations and the interest in this year's initiative is growing in number and geography. It is very exciting to see Canadians motivate to help those in need, many of whom feel quite forgotten by society. A small gesture can make a big difference! Please visit to learn more and sign up at www.shoeboxproject.com or email contact@shoeboxproject.com.